NAILS Next Top Nail Artist Season 6 has taken nail art to new levels in 10 weeks of challenges. This year’s challenges have asked contestants to take nails on safari, build Wonders of the World, create Hawaiian volcanos, and fool the eye with optical illusions. Nevada’s Ashton Harlan and Michigan’s Carly Snyr both won challenges and secured their spots in the Top 3. To decide the last finalist, four-time challenge winner Nixxi Rose went up against week 7 winner Kelsey Waldo in CND’s Last Chance Design Lab. CND co-founder Jan Arnold chose Rose as the final last chance champion, earning Rose her chance in the Top 3. 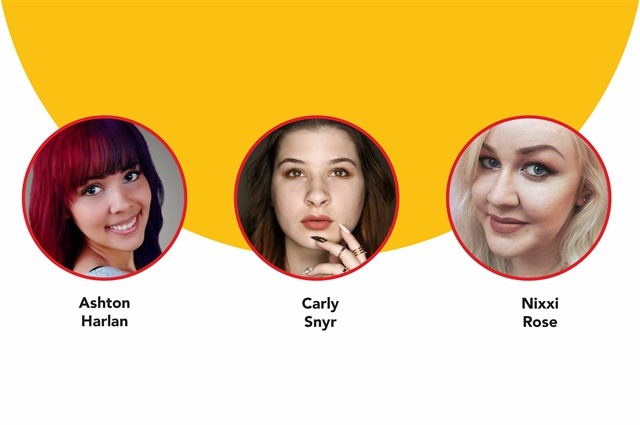 All three finalists will appear at NAILS’ NTNA finale party and networking event June 3 at Premiere Orlando, where NAILS Next Top Nail Artist will be crowned. Join NAILS, CND, and our sponsors En Vogue, EzFlow, Gel II, Kupa, LeChat, Mia Secret, Orly, Swarovski, Tammy Taylor, and Wildflowers, in congratulating these amazing competitors! Go here to see the full competition.